Green plastic peg basket with 36 quality pegs. This green plastic clothes peg basket provides the perfect solution for storing your pegs. 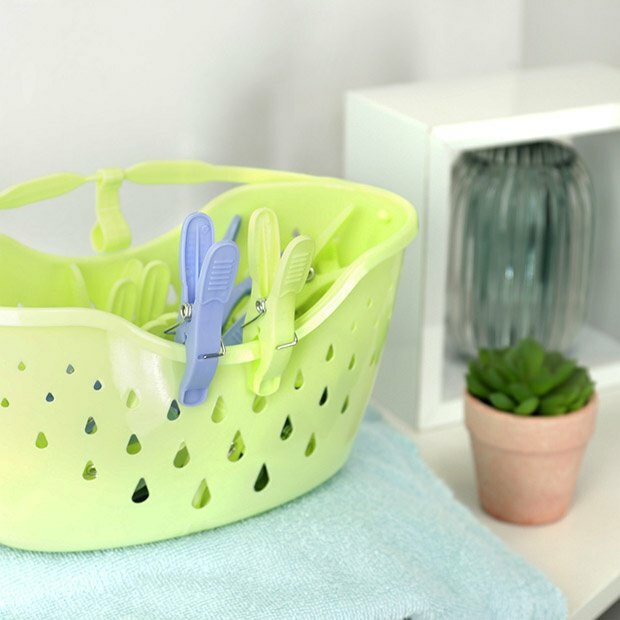 The lightweight basket keeps all your pegs in one convenient place and comes with a set of 36 blue and green clothes pegs. Hangs on your washing line for convenience. Size: Width x Height x Depth 24cm x 12cm x 12cm approx.